When it comes to ways of eating, veganism and vegetarianism lead the forefront of healthy and sustainable diets. However, there is more to these eating methods than simply cutting out meat or animal products. While us omnivores procure necessary vitamins and minerals from eating meat, vegans and vegetarians need to be mindful of the nutrients they are missing from their diet. Very few nutritionists will dispute the value of a vegetarian and vegan diet for your health, as long you eat a balanced diet. There are 6 vitamins and minerals that can easily be missed in a vegan/vegetarian diet. Vitamin D helps absorb and use calcium in our bodies. It promotes normal development of bones and teeth. Vitamin D can also be obtained through sunshine. However, while the sun is often a sufficient source of vitamin D in the south, it is often inadequate in northern areas. Also known as riboflavin, vitamin B2 is essential to the function of enzymes that promote the release of energy from carbohydrates, fats and proteins. While riboflavin supplements are available, you should take them with meals in order to increase absorption. Essential for the formation of red blood cells, vitamin B12 is also responsible for the proper functioning of the nervous system. Vitamin B12 deficiencies can be determined through a blood test. Calcium aids in blood clotting, nerve transmission and muscle contraction. It is also the major building material for bones and teeth. Some plant foods such as sesame seeds, spinach, beet greens, rhubarb and Swiss chard contain high levels of oxalic acid which combines with calcium and prevents its absorption. Iron is a component of enzymes involved in energy metabolism. It is an integral part of hemoglobin which carries oxygen in the red blood cells. The non-heme iron (iron found in plants) is not absorbed as well as the heme iron (iron found in meat). 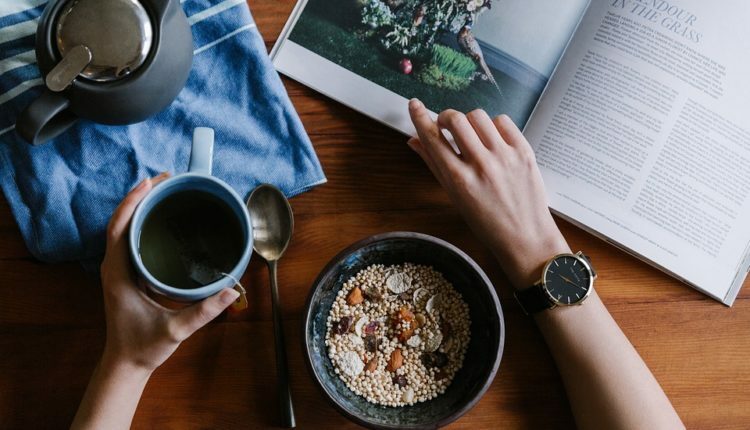 The fiber in plants also interferes with plant iron absorption – as do coffee, tea and calcium supplements when taken with or shortly before or after a meal. You can enhance absorption of non-heme iron by combining them with foods providing vitamin C.
Source: Total Nutrition: The Only Guide You’ll Ever Need from the Mount Sinai School of Medicine, The Complete Book of Vitamin Cures from the Prevention Health Library, Dr. Dean Ornish’s Program for Reversing Heart Disease, The Yale Guild to Children’s Nutrition, Prevention’s Food & Nutrition from the Prevention Health Library.